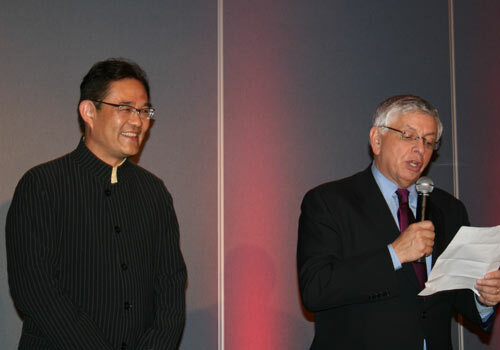 Actor Jet Li and the Rockets' Yao Ming work in the NBA's program to aid New Orleans. NEW ORLEANS -- Between brush strokes, Yao Ming heard a familiar voice critiquing his work as he applied paint to a wall inside a New Orleans elementary school. 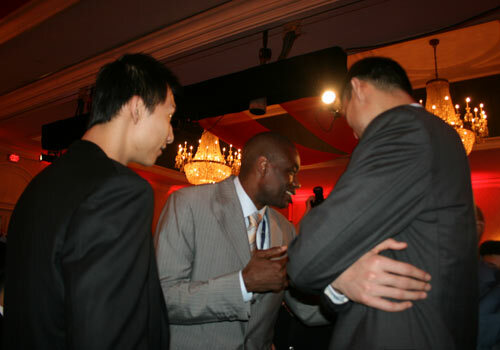 "Come on Yao, reach the ceiling," Dikembe Mutombo shouted with a chuckle. 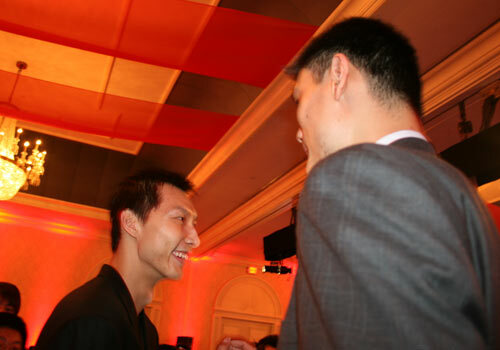 Yao took the playful jab from his teammate in stride. The Rockets stars, after all, didn't want to leave any blemishes in their efforts to help repair the city of New Orleans. Yao, Mutombo and the rest of the world's biggest basketball stars took a moment away from the glitz and glamour of the NBA's All-Star weekend on Friday to help rebuild New Orleans from the aftermath of Hurricane Katrina. The NBA's collection of stars joined 2,500 league volunteers at project sites throughout the city in the NBA Cares All-Star Day of Service. In 2005, the city endured one of the worst natural disasters in U.S. history as floods destoryed the region surrounding the city. 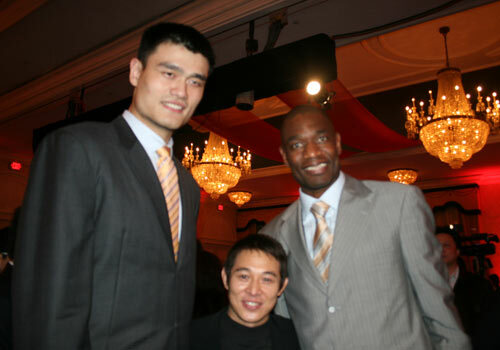 Yao and Mutombo were sent to Capdau Elementary School, where they helped repair the school yard and painted a lunch room. 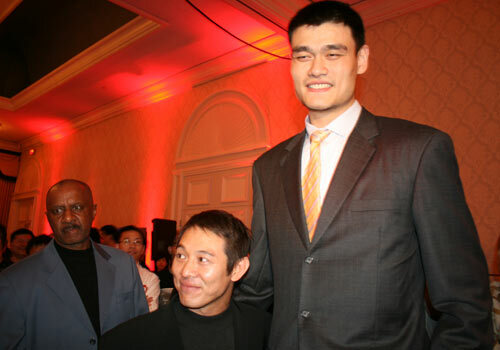 Yao planted sod with Chinese action star Jet Li on a once-baren playground. "We have to do something for the people that live here," Yao said. "They have paid a lot for Katrina. It's time we gave back to them." 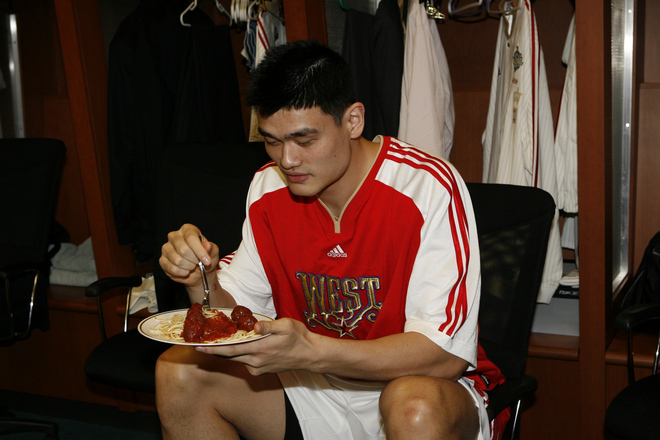 Yao watched the devastation unfold after he returned to China for the summer in 2005. He was shocked by the images. 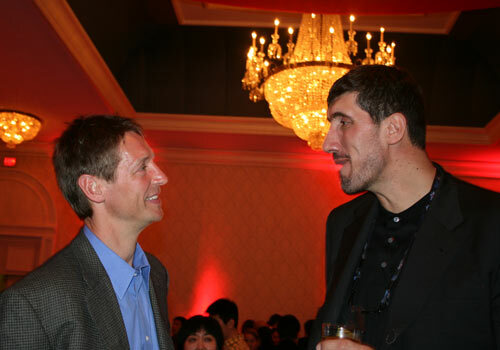 During his ride to the project where he would be working, Yao could see that the city still needed more help. "It looked very bad here," Yao said. "People were losing homes. People were staying in the big stadium. Right now, they return home, but some people lose a lot. I think they're trying to start again. I think people who live in this country need to help them." Mutombo spent the afternoon painting with three of his children by his side. The Rockets center, who has been widely recognized for his humanitarian efforts in Africa, wanted his kids to see that there are also people in the United States who need assistance. But as he painted inside the lunch room of the school, Mutombo wondered why the city's recovery has been slow. "I don't know how to express myself," Mutombo said. "I knew that things were bad here. But I didn't know it was this bad. I got a chance to look around. Some people are still sleeping in the street. There are no houses with anyone living there. Two years later, this city is in the same condition that it was two years ago. My quesion now is why?" Mutombo hopes that the NBA's presence in New Orleans this weekend will raise awareness that there is still work to be done in the city. "By having all these NBA stars here, I think it will raise awareness for the situation here in the city of New Orleans," Mutombo said. "Maybe we did come here for the game. But being here is an opportunity to see the pain and suffering of the people here. I think this should be the main focus of the NBA." Rockets great Hakeem Olajuwon was named one of 15 finalists for the Basketball Hall of Fame on Friday. Olajuwon's chief rival from his NBA days doesn't think "The Dream" shouldn't have any trouble being elected into the Hall of Fame as a first-time nominee. "He was so strong and well-balanced," former Spurs star David Robinson said. "I always had pride in myself as a good defensive player and Hakeem -- when he was on -- was really not stoppable. He had everything from that fadeaway, fall-away jump shot on the baseline to the hook shots in the paint. You could take one thing away, but you couldn't take everything away. During the playoffs in 1995, it was a level of frustration I hadn't really experienced before that." Olajuwon guided the Rockets to back-to-back championships and carried the University of Houston to three straight Final Four appearances. The NBA's MVP in 1994 is the league's all-time leading shot blocker. The Hall of Fame Class of 2008 will be announced on April 7. Rockets center Yao Ming is lining up his next career after basketball. The six-time All-Star served as a television analyst for China's national television network during the third quarter of Friday's T-Mobile Rookie Challenge and Youth Jam. NEW ORLEANS -- Before taking the floor in the T-Mobile Rookie Challenge on Friday night, Luis Scola had a feeling that his game wouldn't mesh well into an event that tends to transform into a slam dunk contest. The Rockets rookie had a relatively quiet night in the opening event of the NBA's All-Star weekend as he scored four points and collected three rebounds in the Sophomores' 136-109 victory over the Rookies at New Orleans Arena. Cleveland guard Daniel Gibson, who had 33 points after netting an event-record 11 three-pointers, was named the game's MVP by pacing the Sophomores to the win with his hot shooting. Rudy Gay added 22 points for the Sophomores, while Seattle's Kevin Durant led the Rookies with 23 points in a game that didn't feature much defense. Since he's not exactly known for dazzling dunks or his cross-over dribble, Scola didn't have high expectations for himself coming into the event. He ended up watching the game's more athletic players turn the event into three-point shooting performance that was sprinkled with dunks. But even with that being the case, the Rockets rookie enjoyed his experience in New Orleans. 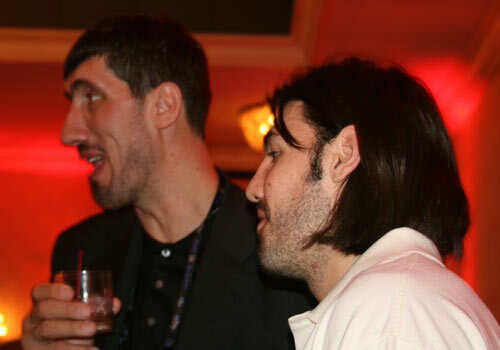 "I like to be part of it," Scola said. "I wish the game would be a little bit different. The people have fun, but if we play a real game and really compete, I think it will be a better show. I like to play real games." Scola would still like to play in the event -- real or not -- again next season. The main reason? The Rockets forward didn't to get a chance to share the floor with Memphis' Juan Carlos Navarro. Before the game, the Rockets rookie was hoping to play with Navarro since the two former stars of the Spanish League never had a chance to share the floor with one another in Europe. Unfortunately, the two rookies never had that chance on Friday night. Navarro had 14 points in 19 minutes of action off the bench. "I didn't play any minutes with him," said Scola, who started for the Rookies and played 16 minutes. "(Before the game, the Spanish media) kept asking me what the best thing of the weekend is and I kept saying that for once in my life, I'll be able to celebrate a Juan Carlos basket. I have played against him so many times and suffered against him so many times. But now that I have a chance to play with him, I didn't play a minute with him." 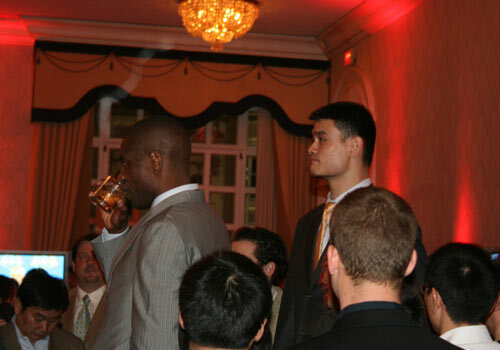 Pryuen can you post a few more photos of the cocktail party thrown by David Stern particular the ones with Dwight Howard and Yi JianLian in them, Thank You. 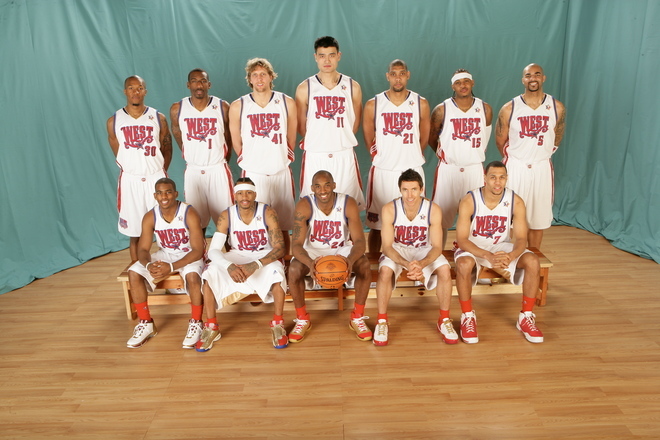 is it just me, or is yao basically getting no playing time at all? just like the first 6-7min of 1st and 3rd quarters, then benched. Now i can understand if he wasn't a starter, but as a starter, won't fans want to watch your favourite player that you voted vigorously on the court for a bit more than 13min for the whole game???? not happy. The fans may vote for the starters but its the coach who decides on PT. It was for this very reason why I didn't want Yi to get voted to start in this year's ASG. 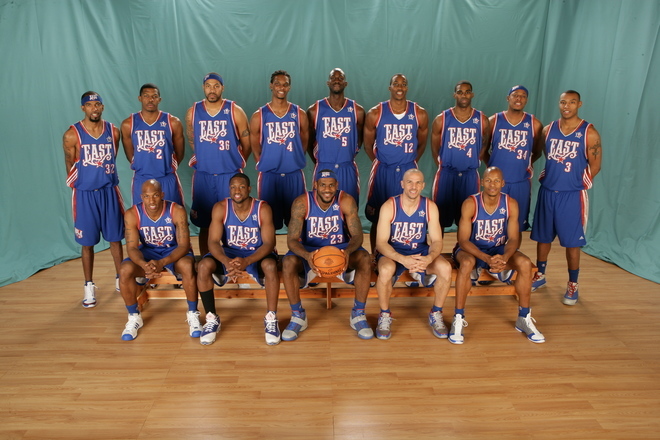 He would've set the record for least minutes played in an ASG. However earlier this season I got a whole bunch of posters who got on my back because they believe they not only have the power to determine who starts but how many minutes the player plays. Well dream on bro!